St Jean-de-Monts is a familiar destination of Irish tourists. It’s laid-back, sunny and friendly. The people are similar and the beach is enormous in both length and width. There’s lots to do and there is loads of camping accommodation so in high summer, every second person you meet in St Jean-de-Monts is a fellow camper, making for as perfect a holiday atmosphere as you could ever hope for. This is found at the markets too. They’re big and lively and infused with a jolly holiday atmosphere. Many things are good value but be wary of tourist prices in the ready-made salads and suchlike, which can be saucy (in the cheeky sense). Place Jean Yole is the main market. There’s a modern-ish building inside which the covered section exists, selling predominately foodstuffs. Tonnes of fruits de mer are found here, but also plenty of foul, vegetables, fruit and a myriad of flavours and smells whose sources have to be sought out and tried. Local specialities include the dessert wine Pineau Charente (also drunk as an aperitif) or the fleur de sel and the Samphire (salicorne) from nearby Noirmoutier that help spice up your meal. Outside, it’s a crowded open-air bazaar of just about everything. 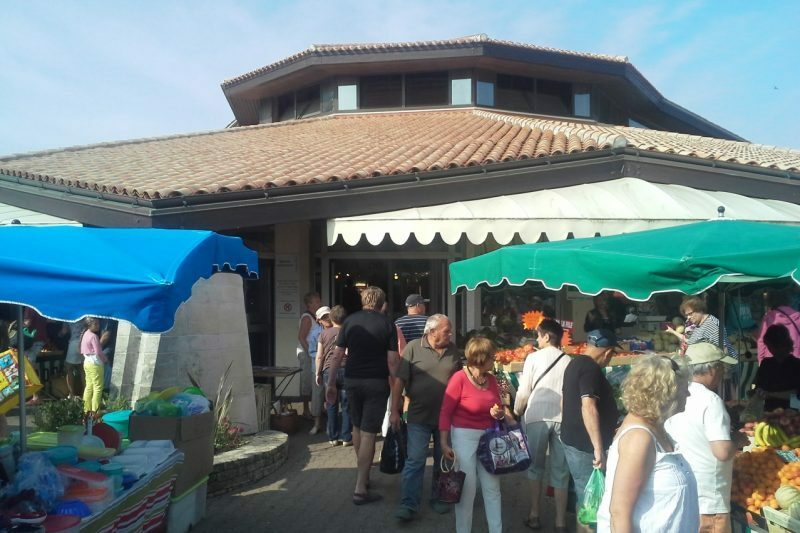 The market is open from 08:00 to 13:00 (variable according to the weather) every Wednesday and Saturday throughout the year and daily from April to September inclusive. The covered beach market is on Avenue des Demoiselles. This is open every morning from 08:00 to 13:00 from the end of June to the beginning of September. The open-air extension on Avenue des Plages is one every Monday and Thursday morning for all of July and August. Next Next post: Driving South Through France – Just How Far is Enough?